First Day of the Rest of My Life: The Truth about this Halloween! 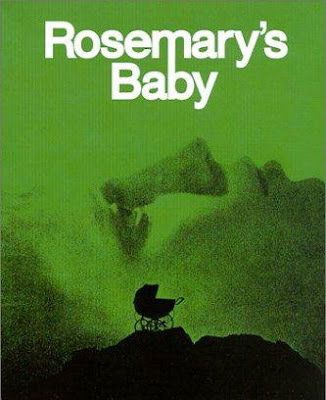 My father produced a film called Rosemary's Baby. After the film was released all sorts of scary things began to a happen. I mean really bad stuff! The film's wonderful composer was killed in a freak skiing accident and then Roman Polanski's wife, Sharon Tate and unborn child were brutally murdered. My Dad thought it had something to do with the subject matter of his film. Rosemary's Baby was about a man who sold his soul to the devil. In return for a flourishing acting career, he let the devil impregnate his wife. I remember my fahter feeling very disturbed by the hate mail he received. Even a close cousin stopped speaking with him. The subject matter was so controversial for that time. Then the Halloween following the release of the film , my Dad's kidneys failed, both of them stopped working. He couldn't pee. He was rushed into emergency surgery and he dreamt that the knife that opened him up had the devil's eye refleced on it! Pretty intense stuff for a young impressionable girl. Dad was sick on and off after that. So, I always relate Halloween to Dad getting sick. This Halloween is particularly unsettling for me. The story I am working on has to do with my father and the central premise surrounds his fear, and mine, of the devil. I can't help but think back in time to a period in my life that was filled with fear and uncertainty. You can be certain that tomorrow night if I see any devils, cute or not, I will not be pleased. It is amazing that a gal who grew up with a father who made horror films hates Halloween so very much. I hope everyone else has a happily terrifying day! As for me, we'll hope for the best and try to avoid any evil spells or haunting curses.